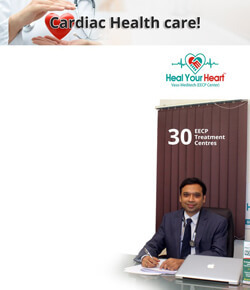 Heal your Heart is a reputed organization of EECP treatment who are pioneers in EECP treatment in India since 2001. 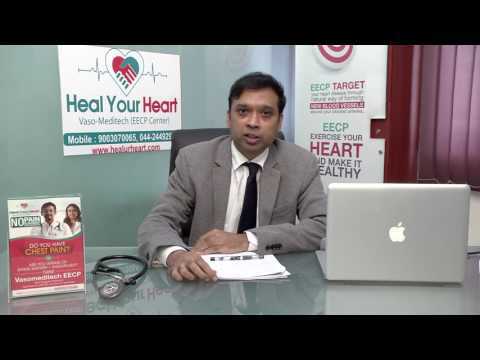 Heal your Heart EECP treatment centers are units of Vaso-Meditech Private limited, Chennai, India. It is a reputed organization of proficient doctors and professionals delivering pioneering heart care solutions through Vaso-Meditech Enhanced External Counter pulsation (EECP) in Non-Invasive Cardiology. EECP therapy helps to form new blood vessels naturally, and it's an alternative treatment for bypass surgery and angioplasty. EECP treatment is an alternative treatment when the patient prefers heart treatment without surgery. Our mission is to exceed expectations at every step and deliver personalized heart treatment services in an environment of care, comfort, and convenience around India. Currently, our EECP treatments are available in more than 25 EECP centersand 10 cities in India, PROVIDING 70,000 SESSIONS PER YEAR, WHICH IS LARGEST IN THE WORLD. In 2020 are expected to reach 100 EECP therapy centers in 50 cities in India and abroad. Devoted to simplicity and patient wellness, and have pioneered the roll out of cost-effective EECP therapy concept in India. 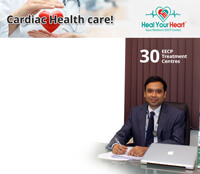 Our organization is the brainchild of Dr.S.Ramasamy, a qualified physician with an exceptional reputation in Non-Invasive cardiac care and a renowned expert in EECP Treatment. Watch more Dr.S.Ramasamy TV interview videos and EECP FAQ Videos. Dr.S.Ramasamy articles of EECP treatment are published in most of the newspaper, magazines and online media. Cardiac patients are afraid once they are informed, that they need to undergo Bypass surgery or angioplasty at the earliest for their heart vessels blockages. Once this dreaded news is delivered to the patients, most of the them immediately start looking for a non surgical alternative treatment for bypass surgery or angioplasty. The main objective to avoid undergoing angioplasty or bypass surgery. Some of the major reasons for them to avoid these procedures are, fear of the surgical procedures, its complications, financial burden it can cause to the family, not fully satisfied with the recommendation of the cardiologist and finally, the strong belief that they don’t need surgery now. How does EECP treatment work to eliminate chest pain and angina? What are the benefits or advantages of EECP therapy over heart surgery? I thanks for your kind enquiry about my health condition after the treatment of EECP at your clinic. I am satisfied with the treatment given by you and hospitality by your staff. I am a 42 Year old male, on Jan3, 2011 I was admitted in Kavery Medical Centre, Trichy (KMC) for chest pain. From there I was referred to Madras Medical Mission (MMC) Hospital for Coronary Angiogram. It was done and found that i had Triple Vessel disease and was adviced for a By-pass surgery. Mr. Vinod Agarwal, 76 yrs old gentleman, has had anterior and inferior wall myocardial infarction at the age of 60 yrs. He underwent CABG surgery. Ten years later he required additional angioplasty for recurrent angina. 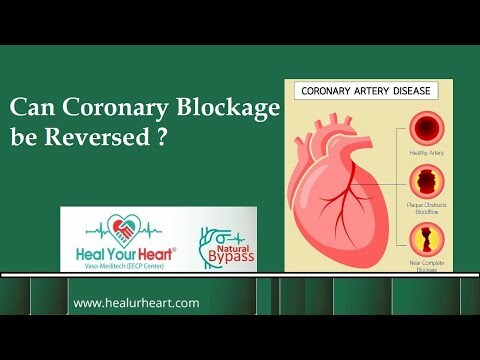 Can Coronary Blockage be Reversed ? Where is the best place to get Vaso-Meditech EECP treatment ? What Benefit can i get from Vaso-Meditech EECP treatment? 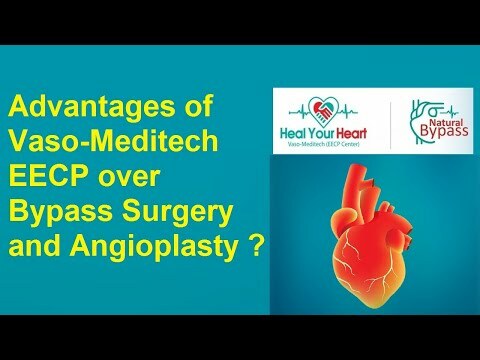 Advantages of Vaso-Meditech EECP over Bypass Surgery and Angioplasty ? EECP – Innovation in Medical Technology. Dr.S.Ramasamy was awarded The Fellow of American College of Cardiology (FACC) in New Orleans USA. First Review article on Central Aortic Blood pressure in India is published in Hypertension Journal authored by Dr.S.Ramasamy.